Hi, everyone! Happy Thursday! I’m back to share another Heffy Doodle card with you all today. I’m still on the Veggie Patch kick and I had to make this card for my friend that I don’t get to see often enough. The last card I created that didn’t have any coloring seemed to be a hit so I decided to give it a try again! Let’s jump in. I started the card for today by taking by taking a piece of 110 lb, white card stock and the Slants Vs. Rhombies stencil and ink blended Walnut Stain Distress Oxide ink over it. Once I had a good layer of ink down, I removed the stencil and used my heat tool to dry the ink. I did this because I planned on heat embossing over the top of the stenciling. I took the largest heart from the Veggie Patch stamp set and stamped it with VersaMark ink. I used white embossing powder and heated it to get a nice smooth finish. I wanted a little more interest, so I added some white gel pen dots around the panel as well. 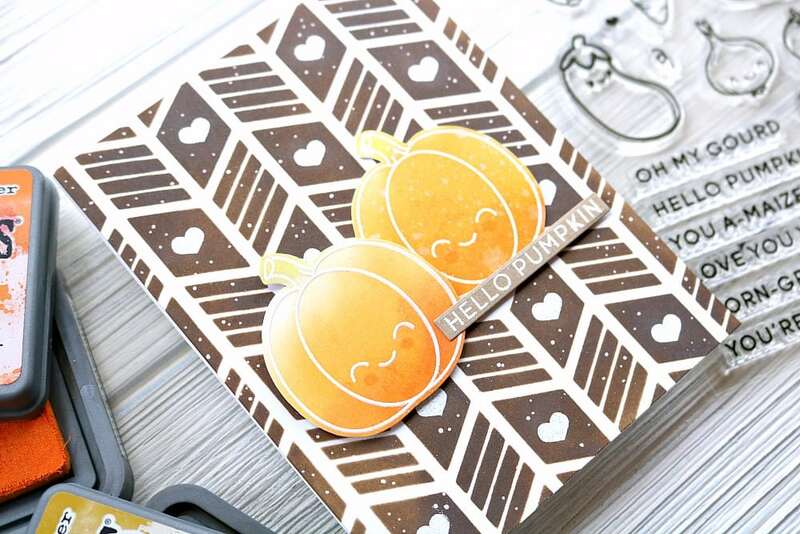 Next I stamped two of the pumpkins with the same VersaMark ink onto some Bristol Smooth card stock. I also heat embossed them with the same white embossing powder. Then it was time to get inky again! 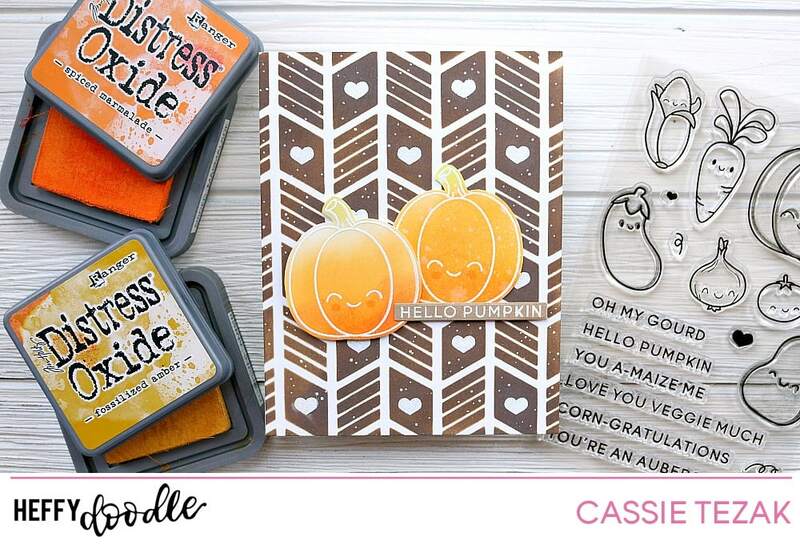 I used my ink blending tool and, what else, Carved Pumpkin Distress Oxide ink to color these cuties in. I splattered one with some water for a little texture, and added some pink to their cheeks with a pink Copic marker. I also added a little Twisted Citron to the stem. To finish off the card I adhered the pumpkins to the stenciled piece with foam tape. 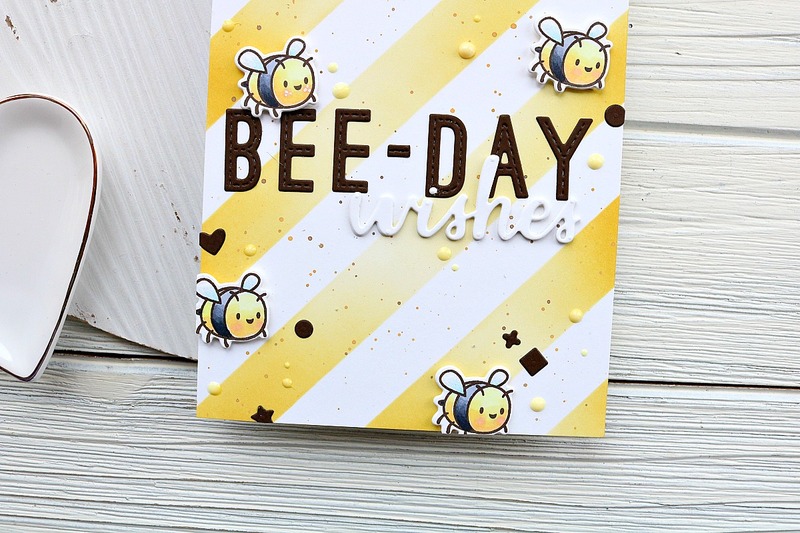 I also heat embossed a sentiment onto some kraft card stock and trimmed it out with the Stripes of Ease die. And that’s my card for today! I hope you enjoyed this non-coloring card that I created! 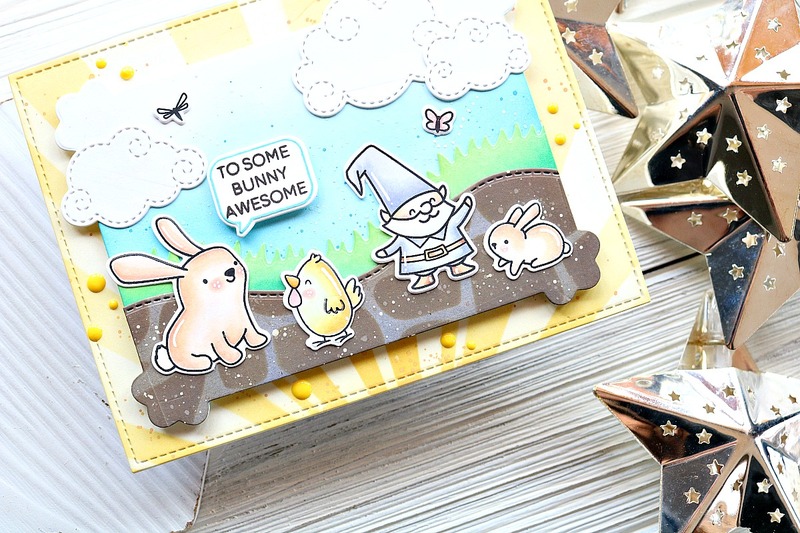 Do you love coloring, or do you like to skip it for cards like this one? Thanks so much for stopping by today and I’ll see you again soon with another card! 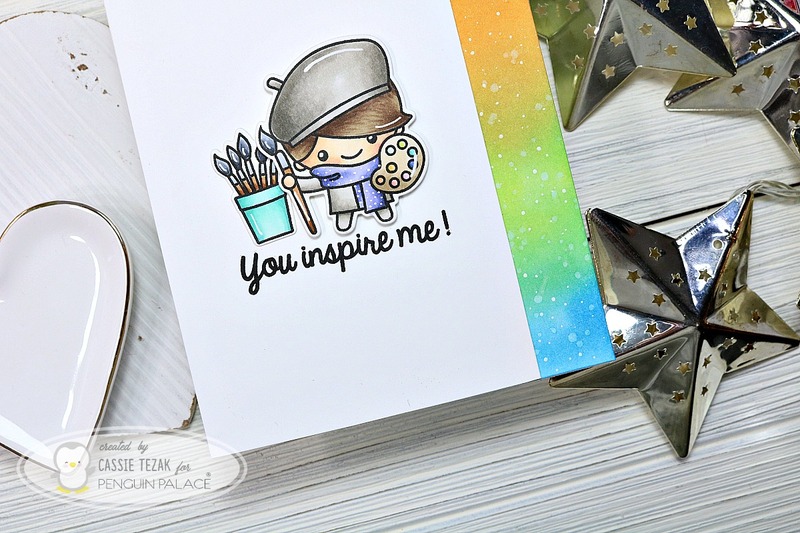 Next Your Next Stamp January Blog Hop!